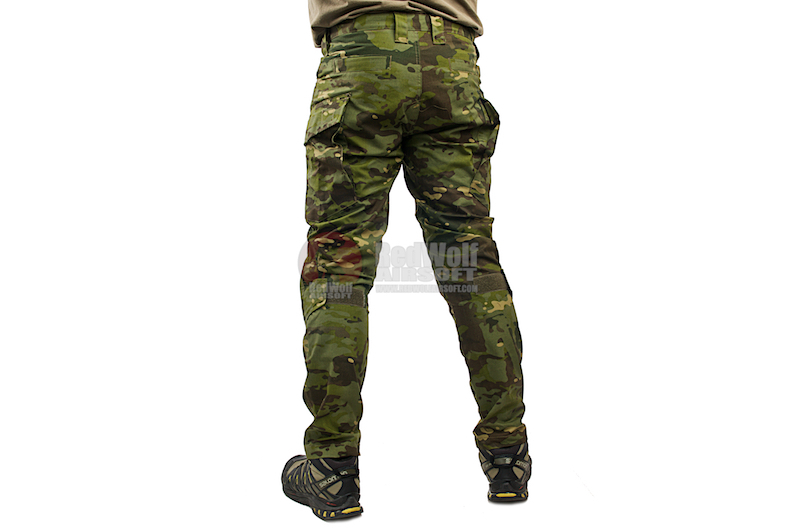 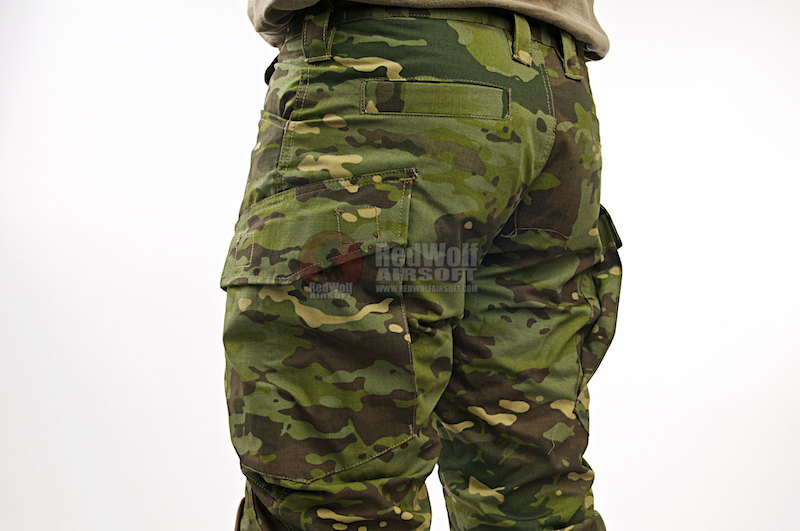 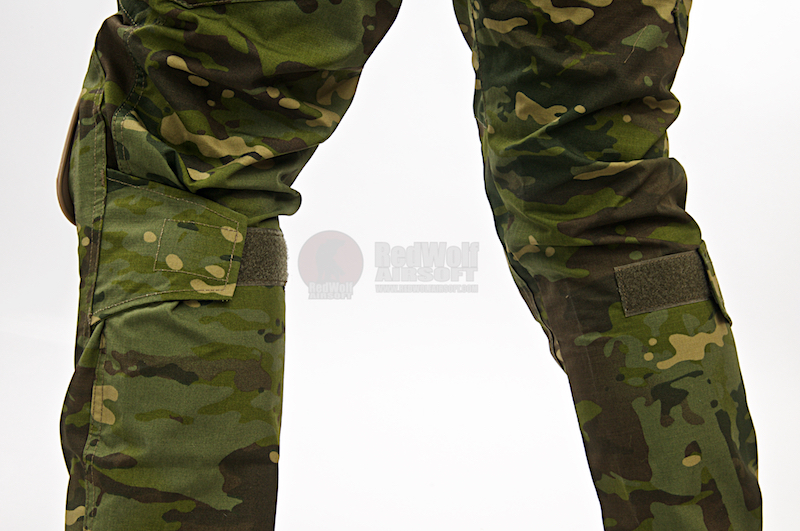 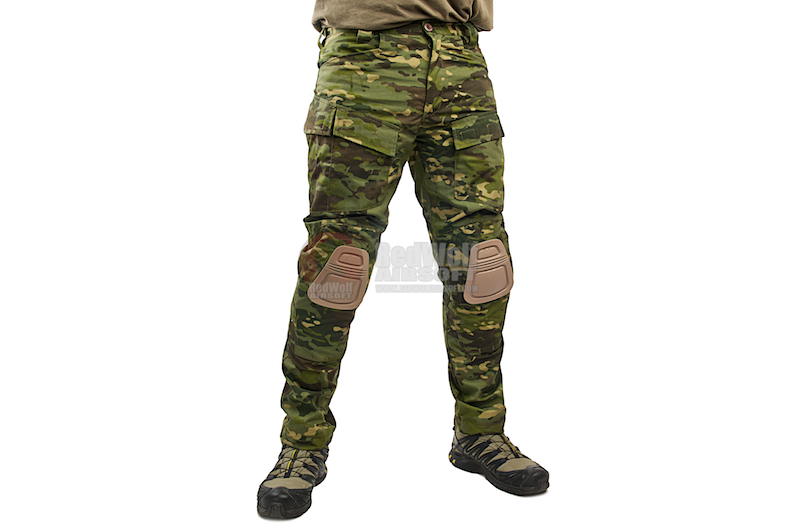 The TMC E-ONE Combat Pants is a durable poly-cotton ripstop fabric and an exceptionally hard wearing material. 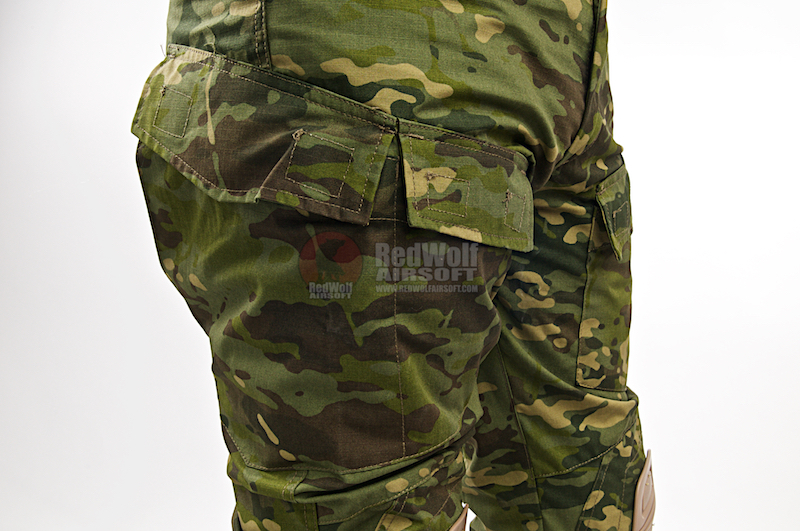 Even though the materials are very rigid, it doesn't stick to the skin as air is flowing through preventing you front sweating so easily. 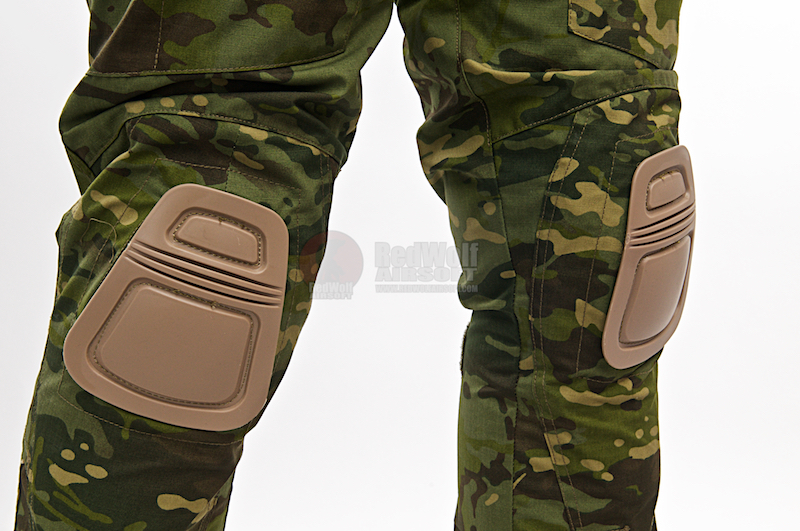 The elastic fabric surround the knees allows for dynamic motion and will fit their knee pads which come included in this package.